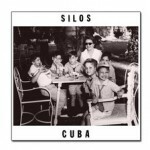 Vinyl Review: (The) Silos, "Cuba"
A gem from the ’80s college rock scene gets a brand new run. With much respect to Walter Salas-Humara, the leader of the band The Silos, everything you really need to know about them, you’ll learn from their first three albums. These are the records that also featured bandmember Bob Rupe who, in later years, would be bought out of the Silos name by Salas-Humara and would briefly become a member of the band Cracker (specifically on the wildly underrated The Golden Age). Cuba, their second effort typifies the late-Eighties college rock sound, with more than a little lean toward the folk end. The Silos (or, as noted here, just Silos) weren’t afraid to strip everything back to acoustics with a glaze of fiddle over the top. That eccentricity endeared them to what would become the Alt-Country movement, but would also doom them to never becoming major stars. They were too much of what they were, to apply a Yogi-ism to it. In retrospect, the audience has grown accustomed to the liberal hybridization of the country/folk tang mixed with the rock punch. Cracker is a prime example of it. It would be several years past The Silos’ Cuba before R.E.M., a group they were often getting lumped in with, had a massive hit that put a mandolin front-and-center. With that, it’s tempting to say The Silos were ahead of their time, but only as far ahead as 1991 from 1987. That said, the real qualities of Cuba shine through upon a listen with more than a quarter-century (gulp) of space in between. Salas-Humara is a terrific songwriter, and the ten tracks on this vinyl reissue of Cuba serve as potent proof. Rupe’s no slouch either, contributing “Memories” and the co-write on “She Lives Up The Street.” “Mary’s Getting Married” couldn’t be more different from “Going Round,” with the former fitting perfectly into the 80’s college radio format while deftly playing with the chords of “Here Comes the Bride,” while the latter could have been sung in 1920 and been accepted for its simplicity of arrangement. Yet all these sound completely at home on this single collection. Dualtone Records has made a right snappy reissue of the record with a stark white vinyl pressing and a black label, mirroring the two-toned visual ethic of the cover. The whole sounds great, but it sounds like the late-‘80s, so anyone who is irked strictly by that time’s production standards may be put off by the “life” in the reverb. Nothing you can do about that, nor should you. Cuba is now a document of when it came out, but it also stands as a reminder of the terrific songwriting going on, just outside of the mainstream’s pull.